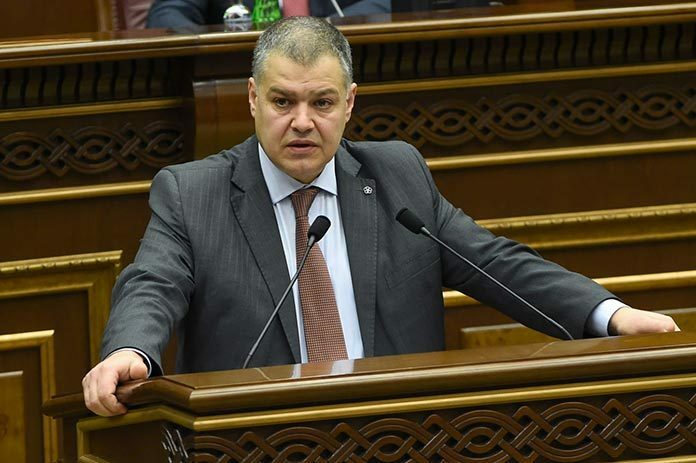 The National Assembly has passed the new Electoral Code in the third and final reading today, with Chief of Government Staff David Harutyunyan admitting that there is still no broad consensus with the opposition on the set of electoral laws yet. The bill was put to vote in the 131-member National Assembly dominated by the ruling Republican Party of Armenia and adopted by 102 votes “for”, 17 “against” and 3 abstentions. Under a timetable of changes to be made in laws after amendments were moved in Armenia’s Constitution in last year’s referendum, the new Electoral Code accommodating for the nation’s transition to a parliamentary system must be adopted at least a year before the next generation election, which is due in May 2017. Levon Zurabyan, the head of the opposition Armenian National Congress (ANC) faction, said that their goal is to reach a consensus on the Electoral Code. “We want to know for sure whether the ruling party is ready to abide by its word and after the third reading of the Electoral Code convene a special session and introduce the agreements, reached as a result of consensus, in the draft Electoral Code,” said Zurabyan. In response, Harutyunyan said that the broader the consensus, the more confidence there will be towards the Electoral Code. “We once again reiterate our statement, according to which, if even after June 1, we manage to choose a mutually acceptable mechanisms, we will be ready to convene a special session and to submit proposals for amendments to the Electoral Code. There will also be an opportunity in the special session to address the recommendations that have been introduced out of the set time,” he said. The government-submitted draft Electoral Code of Armenia raised a wave of discussions among opposition politicians, who submitted proposals and demands to be addressed in the legislation, which, however, have not been fully presented in the final version of the Code yet.